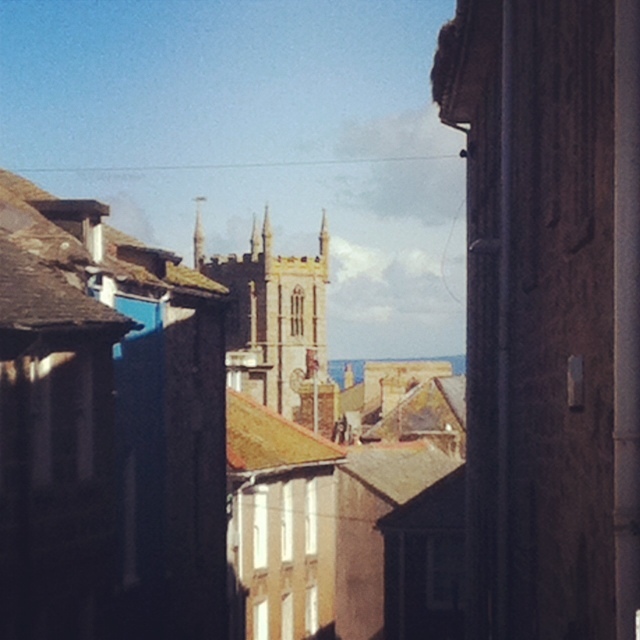 But after a wander around the town today we can confirm that not only is it bright and sunny, it is also warm! Hooray! We had a bit of a nose around some of the quiet little streets just up from the harbour and took this picture of the rooftops with the sea a lovely blue in the background. There was also a lot of daffodils out in window boxes etc and everywhere is looking so pretty. The next 2 weeks are going to be manic for us. We have our new property to put the finishing touches to and a photo shoot with our friends Jenny and Ricki which we are really looking forward to. They started off doing weddings and family portrait work but are so talented that they now do brochure and corporate work too – really looking forward to working with them again. We’re sure all the children are also making the most of today – the beaches are all quite busy and it’s countdown time now until the Easter holidays.